Blaine Hogan, the chap that is responsible for THIS nugget of a creation, is at it again. The talented fella gathered 15 years worth of notes that he scribbled as he juggled various creative endeavors and released his first book, UNTITLED: Thoughts on the Creative Process. I snatched it up earlier today and started flipping through it while lurking at Fresh Cafe. Buy it now for only $4.99 on Amazon, iTunes, and Barnes & Noble. 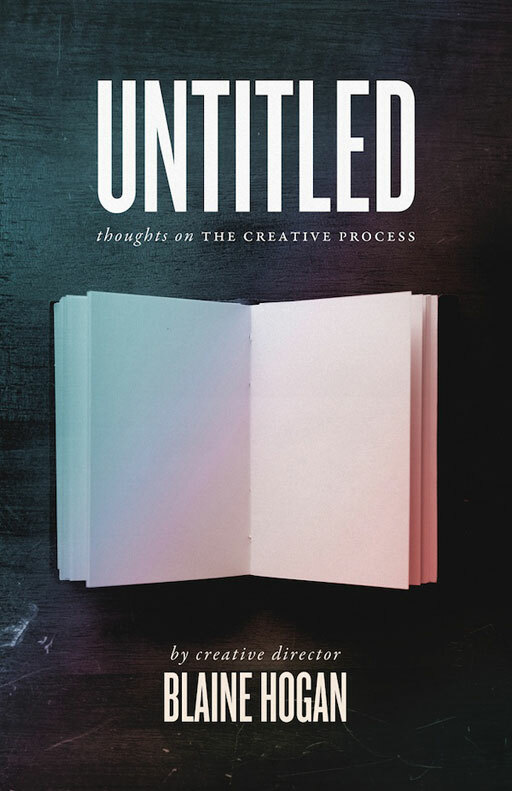 "UNTITLED will walk you through the creative process of attacking the blank page, executing vision, believing in the importance of contemplation, fighting the beast of resistance, learning from your failures, and creating beauty from the inside out."